5200 bottom and sides. Restored by Tom Flood in 1993 (new bottom, sides & deck). Revarnished in 2004. 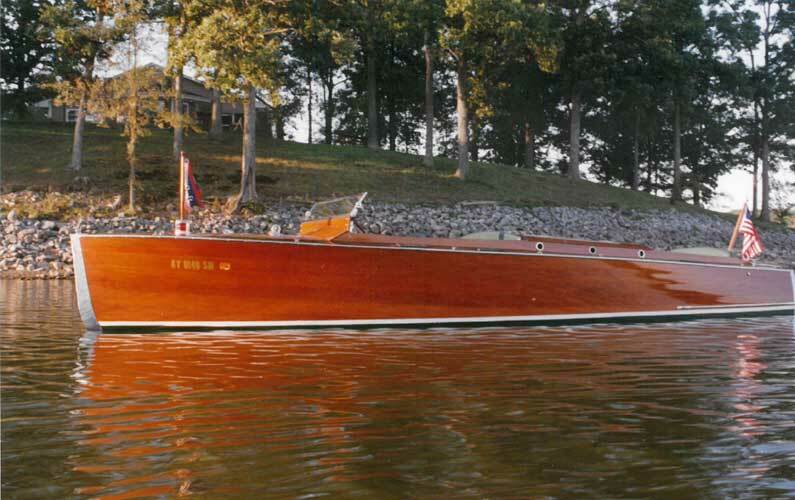 Features 440ci 330hp Chrysler Marine. Engine rebuilt in 1994, has approx 565 hours of usage. 2016 – new water pump, impellers, battery, belts, all fluids & filters changed and tune-up. Trailer has new brakes & tires. Veteran of 5 Tennessee River Cruises. Eleventh oldest documented Chris Craft. Turn key ready! Motivated seller.